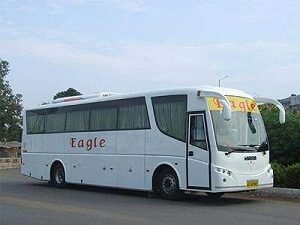 Eagle Travels Phone Number, Mobile Number, Enquiry Number, Contact Number, and more information given here. Buying bus tickets online is one of the best ways to save your time and money. You should buy bus tickets online by visiting popular bus booking websites, such as PayTM, Redbus, Abhibus, Yatra, MakeMyTrip, ibibo, and other portals. To get good deals on bus tickets online, you must visit these websites. Alternatively, you can book your bus tickets on GSRTC website. In this article, we have provided contact details of Eagle Travels, such as phone number, booking number, complaint number, mobile number, email ID, office address, and more. So, let’s see! Ahmedabad Paldi Office Address: Shop No 1 to 6, Sumeru Complex, Paldi Char Rasta, Ahmedabad. Chikhli Office Address: Jeetu Paan & Travels, College Chokdi, Chikhli. Porbandar Office Address: Eagle Travels, M.G. Road, Hathi Tanki, Porbandar. Eagle Travels Surat Office Address: Kathiyavad Travels Lina Pani Road, Surat. Valsad Office Address: Lion Auto Centre Nr. Tarunakut, Valsad. Nashik Address: New Royal Punjab C/o Lord’s Punjab Restaurant, Dwarka, Nashik. Eagle Travels Ajmer Address: Opp. Railway Station, Nr. Clock Tower, Ajmer. Jaipur Address: Rajshree Travels Shiva Bhavan, Station Road, Jaipur. Nathdwara Address: Mukesh Travels Nr. Bus Stand, Highway No. 8, Nathdwara. Udaipur Address: Kamlesh Travels Toran Bawari, City Station Road, Udaipur.